The cube-shaped vehicles made by France Craft are shipped in a kit. Marc Chevreau will pitch the vehicles at CES in Las Vegas. PARIS (Bloomberg) -- General Motors and Mercedes-Benz say the next generation of cars will be self-driving and super-connected. A French entrepreneur is betting they will also come in kits. As carmakers descend on the world’s biggest technology show this week in Las Vegas, Marc Chevreau says they need to get rid of costly assembly lines to spur real innovation. He will pitch all-electric vehicles that can be put together outside a factory by anyone with a toolbox, with the possibility of adding on third-party technology like driving assistance. Chevreau’s two-seater, roughly the size of a Smart car, will retail for about $20,000, including the battery. 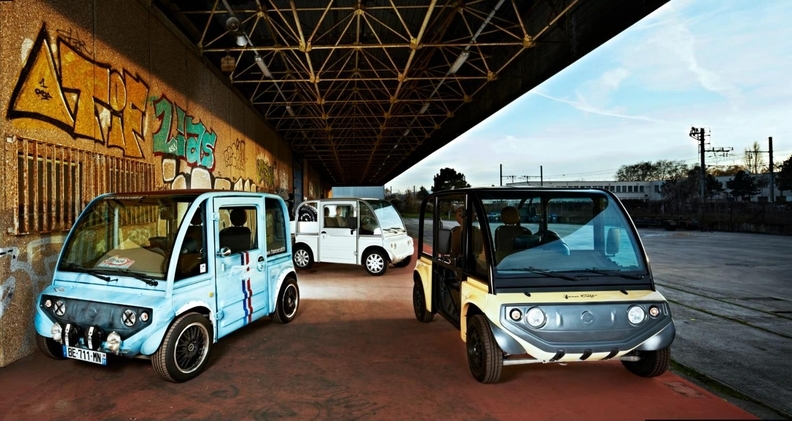 The cube-shaped vehicles made by Chevreau’s startup, France Craft, are shipped in a kit and have safety clearance to hit the road in Europe as long as they’re assembled by a professional mechanic. The entrepreneur, who trained as a nuclear physicist and got into cars to restructure his family’s bodywork fixing business, is seeking to raise as much as 20 million euros ($21.5 million) to recruit technology partners and local mechanics, and build an online sales platform. Chevreau says 80 of his battery-powered vehicles are already running in France -- each can go for about 240km (125 miles) before needing to be plugged into an electric socket for recharging. That has emboldened him to take his show to Vegas. Automobiles will be a big theme at this year’s Vegas show, which is expected to attract more than 170,000 people. Among the gadgets to be showcased at the CES, will be GM’s Chevrolet Bolt, a pure-electric car. Consumers will also get a glimpse of efforts in technology for self-driving cars from companies including Google and chipmaker Nvidia. While the market for the next generation of electric, innovative cars is attracting new players every day, it’s still early stage for such products, said Juergen Pieper, an analyst for Bankhaus Metzler in Frankfurt. That means the race is wide open, and even in the face of established car equipment manufacturers, a smaller company could come out on top, he said. "The next five years can be characterized as a gold-digger phase, where everything is open," Pieper said. "Established equipment manufacturers have no real technical advantage as they focus more than 90 percent of their r&d on traditional technologies." That’s just the sort of opportunity entrepreneurs like Chevreau are looking to tap.